«Binom Soft» is a professional software, mobile application and web development company that stands for quality performance and outstanding customer support. We combine superior development, affordable pricing and top-notch customer service to help our clients bring their business to the next level. Our guarantee of your project success is supported by an active Quality Assurance program that begins with the first contact and continues long past your acceptance of the final work. 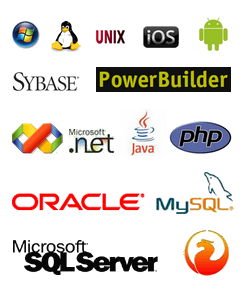 «Binom Soft» provides a complete set of services in software development, support and testing. Software development — is a main direction in company operation. You can be sure that our knowledge, skills and expertise will produce an optimal solution for you and reduce project risks. We will implement your project with high quality and in minimal time period using reasonable investment. Read more about technologies used in a company, as well as about development approach, quality assurance and information security.